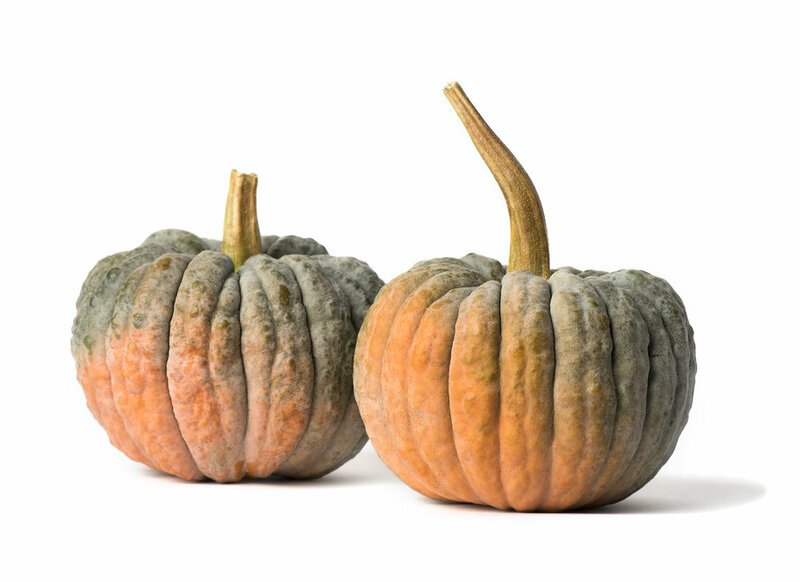 This small open pollinated squash from Japan is becoming more popular as it is delicious and small and the skin is edible. It has a fruity fine-grained flesh that makes it great in a salad. Black Futsu turns from a dark green to tan as it ripens.